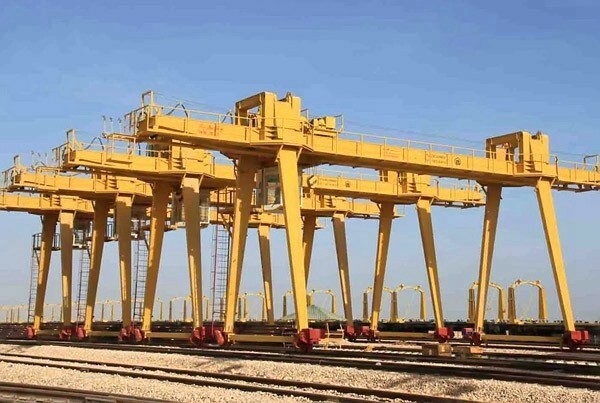 SINOKO 10t Rail mounted Material Handling Gantry Crane is a common gantry crane. 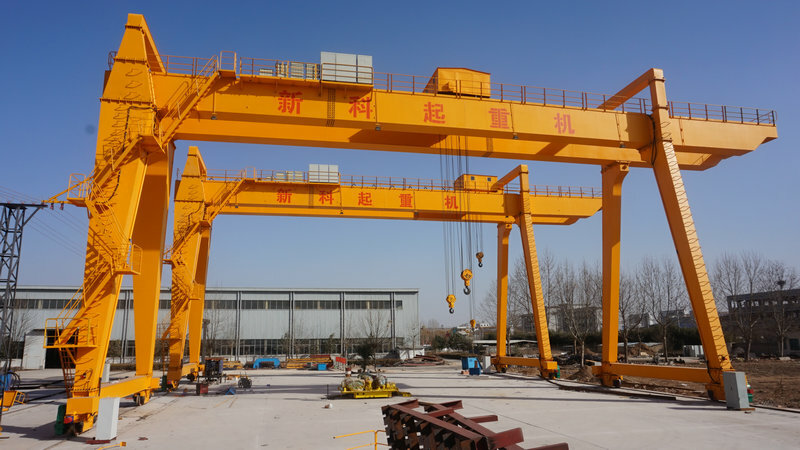 The differences is Sinoko use FEM standard to design, and the production strictly according to EUROPEAN gantry crane standards. 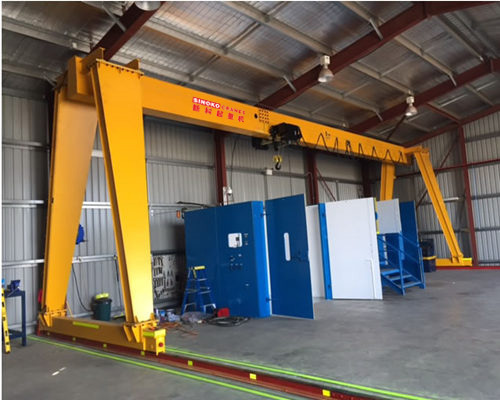 In addition sinoko crane will take test for every crane to make sure good performance for cranes. 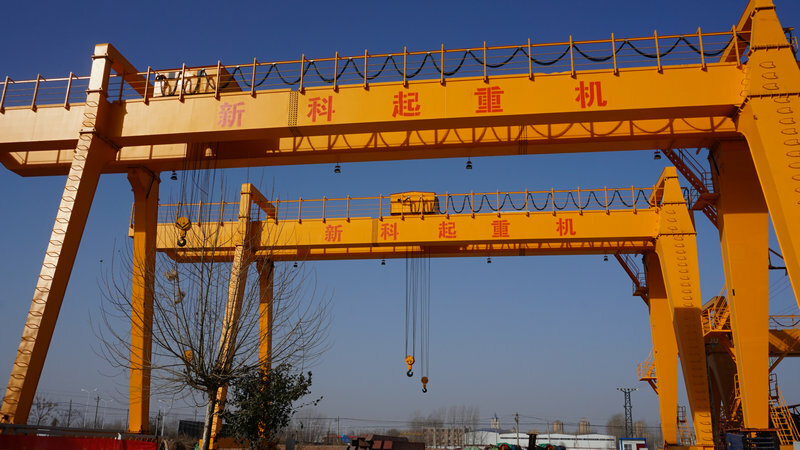 10T Material Handling Gantry Crane is one kind of gantry cranes which are widely used in ports, freight yards, open storages, container transfer station, etc. to load and unload containers. 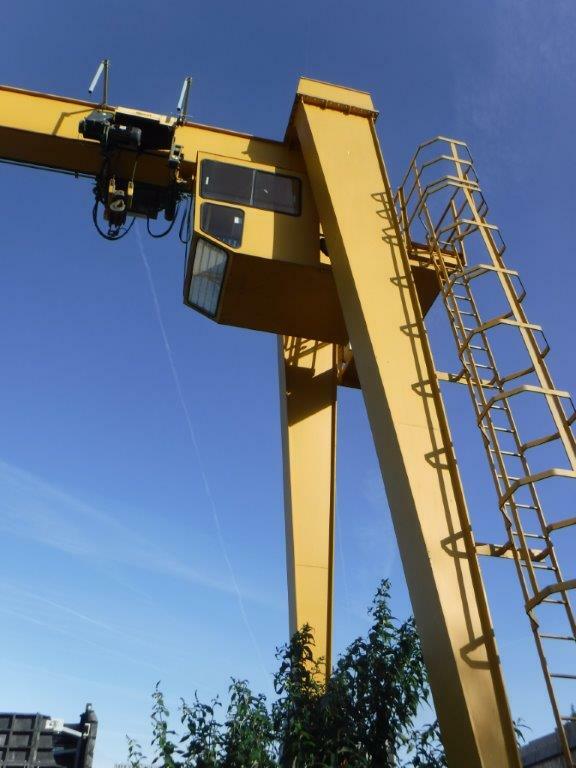 This rail mounted container gantry crane chooses the U type, with its legs headroom nearly 7 meters. Therefore, it is suitable to carry heavy bulky cargo and container handling. The working duty is A5-A8. 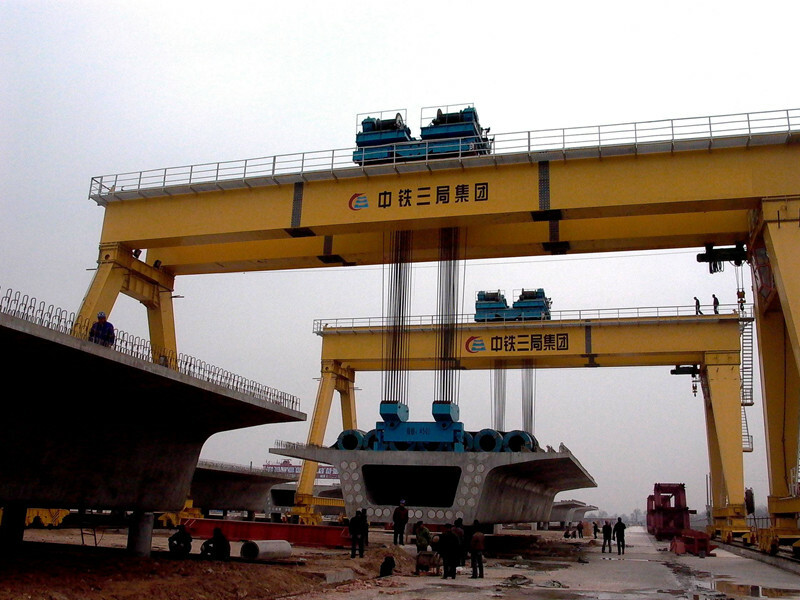 Weight is from 5-500t, span is from 18-35m. 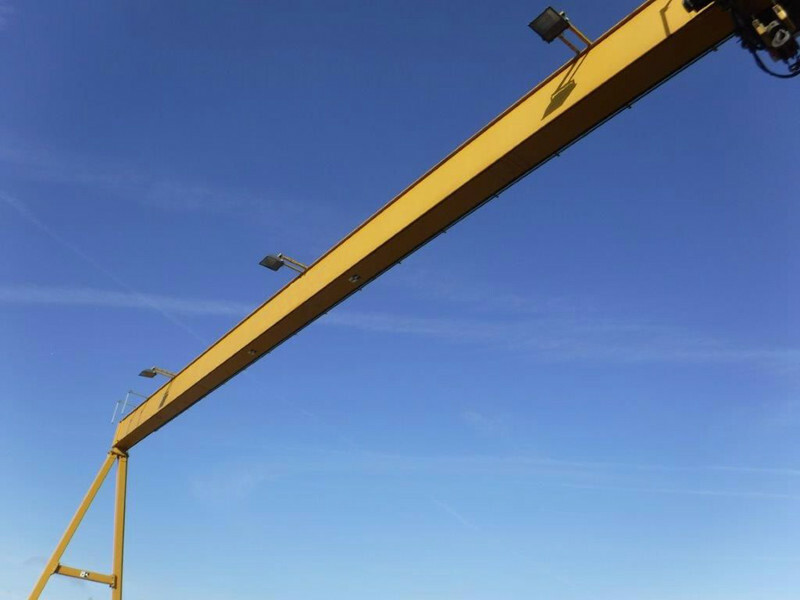 The girder can be designed with cantilever or without cantilever. 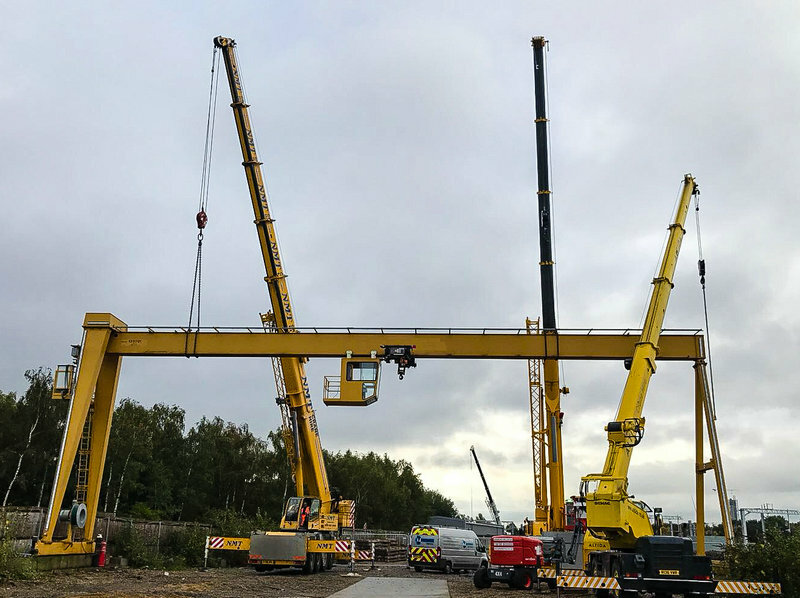 The end of two main beams are designed to be connected with end beams to meet high level requirements. 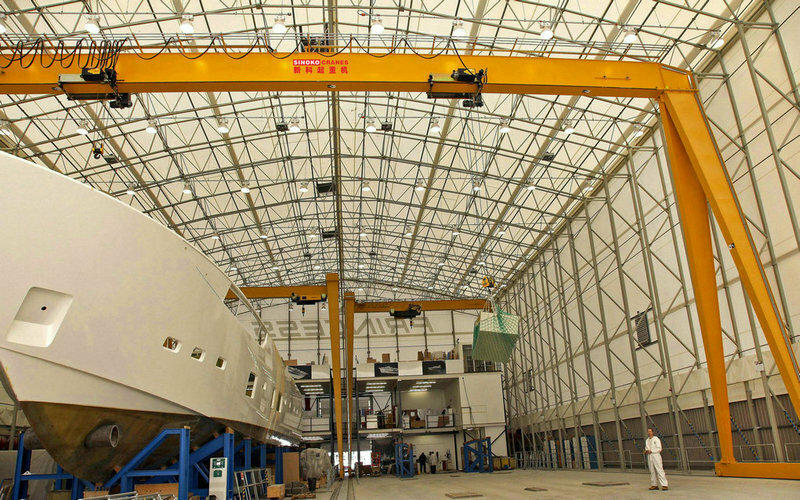 d) Investment-saved---the workshop's civil work cost, due to crane's light dead weight and low wheel pressure. e) Power-saved. The total motor power is much lower than normal design. 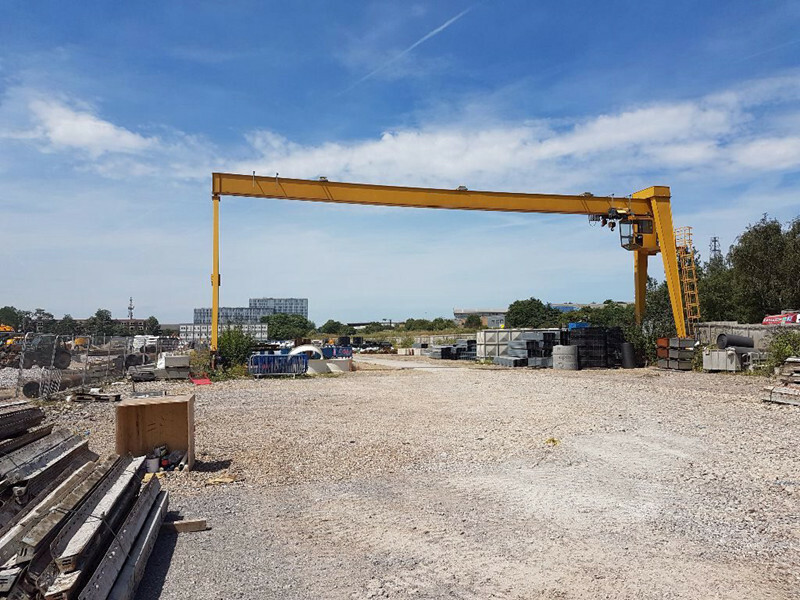 - Material for general crane construct is Q235B, which should be changed into Q345B when the limit temperature is below -40 centigrade. - Material for crane wheel is 42 CrMo. - Portal hook for ladle is forged one. - The steel rope is flexible one or customer’s required. - Electric motor is well-known one in China, like Jiamusi or other international one like ABB, SEW and so on as customer’s requirement. - Reducer is SEW of other equivalent ones. - Inverter is Schneider, ABB or some other international ones. - Such important electric components as breaker, contactor, and fuse are of Schneider, Siemens and so on. - Other ones can be followed according to our customer’s requirement. 7. The rail length and the height. 8. Single speed or double speed for lifting and travelling ? 9. Driver cabine control or pendant control ? 10. How many hours work per day ? 11. Power source : 380v,50Hz,3phase or others?